USA’s senior side has accepted an invitation to play in the WICB Regional Super50 tournament, beginning on January 30 in Barbados and Antigua. They will be the only Associate side in the competition, joining the six West Indies franchise teams as well as Combined Campuses and Colleges (CCC), plus the English county sides Hampshire and Kent. Players from USA had participated in the competition as part of a combined ICC Americas side, which also included players from Canada and Bermuda, in 2016 and 2017. Over the course of the two seasons, the ICC Americas unit registered one win – by 72 runs over CCC – in 14 matches including one washout. However, USA cricket officials had been lobbying the WICB since last summer to allow USA to play as their own national team. Their argument was that better familiarity and chemistry within their own team would lead to better performances and also allow more of their own players opportunities to develop instead of forcing a mixed squad with other countries, even though on paper the talent might be better by taking the best from USA, Canada and Bermuda, and putting them into one team. 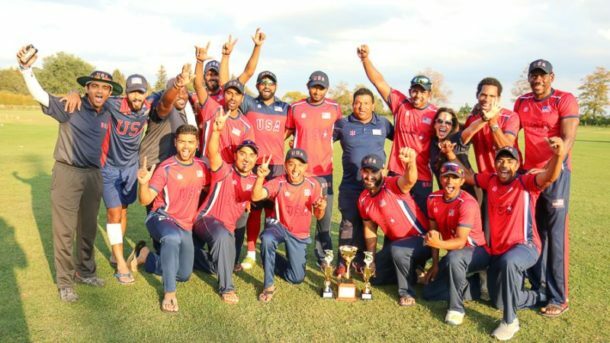 USA cricket got their wish in part because the dates of this year’s Super50 tournament, January 30-February 24, clash with Canada’s participation in WCL Division Two in Namibia that runs from February 8-15. The Division Two tournament is the final Associate event before the World Cup Qualifier in Zimbabwe. Canada are competing against UAE, Nepal, Oman, Kenya and Namibia with the top two finishers advancing to round out the 10-team World Cup Qualifier field which already features Full Members Zimbabwe, West Indies, Afghanistan and Ireland, alongside Associates Netherlands, Scotland, Hong Kong and Papua New Guinea. This will not be USA’s first time competing in the Regional Super50 tournament as a full national side. Previously, they participated in what was then known as the Red Stripe Bowl tournament in 1998 and 2000, notching up a two-wicket win over Barbados in 2000. Their most recent appearance was in 2008, where they failed to score a win while using an understrength side that was missing regular captain Steve Massiah and vice-captain Sushil Nadkarni, among others, due to work commitments. USA has been drawn in Group B in Antigua for the Regional Super50 along with Jamaica, Leeward Islands, Guyana and Kent. They will play a total of eight games in the double round-robin competition ahead of the semi-finals on February 21 and 22. It will be their first action since a tour of the UAE and Oman in December. USA won their first game in Abu Dhabi against Nepal before losing to Kenya followed by three straight defeats to Oman. The Regional Super50 is the start of USA’s 2018 fixture list. ESPNcricinfo understands that discussions for the next edition of the Auty Cup series against Canada are underway with a possible three-match series slated for May. USA are also due to appear in the next WCL Division Three tournament, which is tentatively scheduled for the second half of the year in a location to be determined. ICC Americas regional qualifying for the 2020 World Twenty20 in Australia is also anticipated for late 2018 ahead of a global qualifier in 2019.